This November’s Midcentury Modern® looks set to provide a heady mix of modern and vintage treasures to make your home welcoming and cosy plus plenty of curious, unique Christmas gifts. Mix an iconic early Eames chair with a dash of greenery in the form of your very own self-contained terrarium and get Christmas presents sorted for all the special people in your life with some fabulous contemporary and midcentury jewellery at the show from Kate Hodgson, Barbara Spence and Grasilver to complete the look. Wash it down with either fizz or Perone from Pinkerton’s prosecco van, there to provide bubbles and start the festive season with a bang. 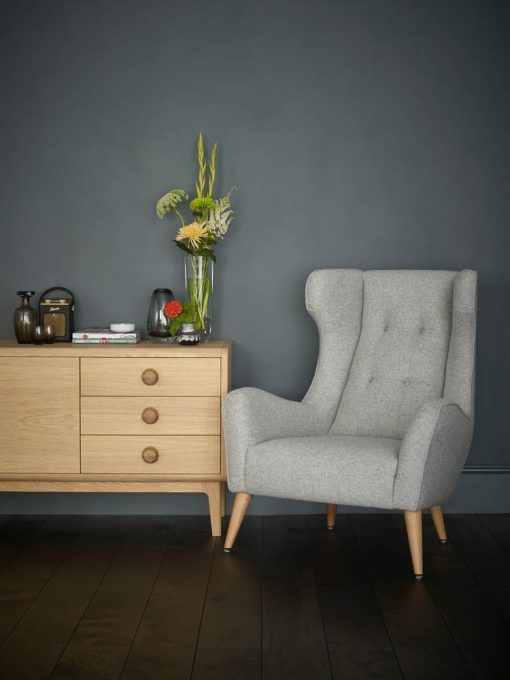 Exciting new furniture company Living Room will be launching its fabulous range of midcentury-inspired designs including sumptuous velvet sofas and armchairs in ochres, rich reds and moss greens to give your home the accent and comfort it might need. Dress it up with cushions and throws from the UK’s top contemporary textile designers including Mourne Textiles, Chalk Wovens, Waffle and Twig. Joanne Coe, founder and creative director of Living Room, can not get enough of art and design greats from the post war era including Robin and Lucienne Day, Ernest Race and Barbara Hepworth, “My aim with Living Room is to take inspiration from this period and combine it with my love of craft and honesty of materials to create something new that evokes quality and is made to last,” she says. So if she is not on her stand you know she will be scooting around the midcentury mastery on display in the main room downstairs in Christison Hall. Each of her pieces is made to order and her belief that the products we buy should have a clear provenance and stand the test of time is sure to guarantee quality and a love of classic design that you can invest in for the future. Hot on the heels of London Design Week, Haidée Drew will be bringing cool, graphic mirrors to wow us with this November. Having created homeware for shops such as Heals, The Conran Shop, The Design Museum and Liberty she works with independent stores and galleries across the globe. She now designs collections from her studio in East London working with some of the UK’s finest artisans and manufacturers to create her sculptural, fun and functional pieces. Anna-Lisa Smith, one of Liberty’s latest discoveries at ‘Best of British’ Open Call 2016 will also be premiering at the show. She designs simple, striking textiles for the home from her studio in West Yorkshire. The minimalist pieces are woven in local mills using the finest quality lambswool and then hand finished in her studio. Designed not as fashion items but for longevity, they are timeless objects created to bring joy and to be treasured by the owner. 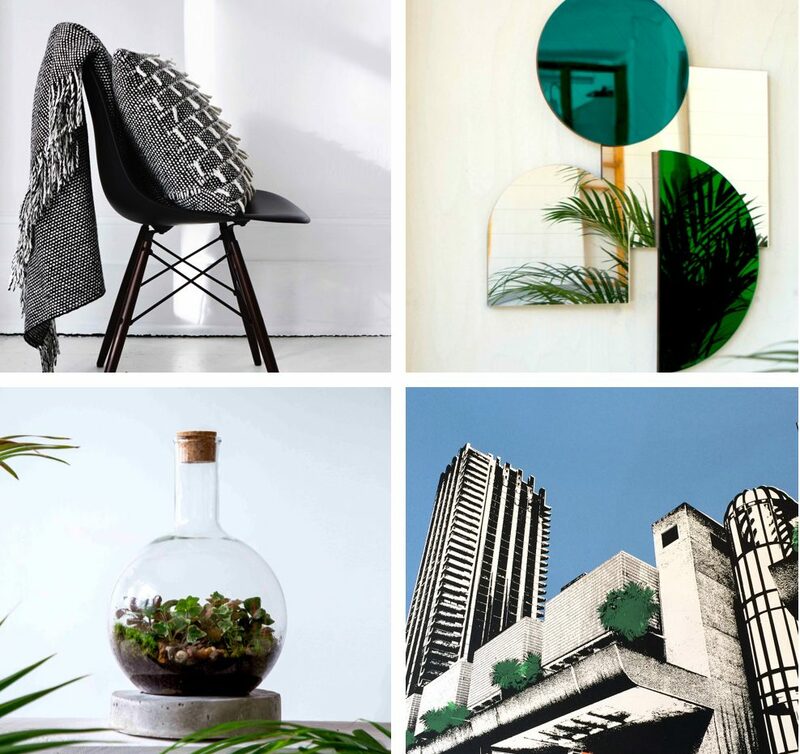 Another newbie to the show, Design Bros, a design and craft studio founded in 2015 and based in South West London creates contemporary furniture and functional objects for home and work. Renowned Japanese fashion photographer, Reiji Yamasaki looks at his heritage. His attention to detail is meticulous in creating these amazing dynamic designs which are made in the UK with sustainability. Local craftsmanship is fundamental to Design Bros’ ethos. Binocular Design is showing its CC2 chair which stays true to the brand’s midcentury aesthetic. Designed in 1951 by a friend and relative of the Binocular partnership, Jim Williams, the designer went on to forge a very successful career in furniture then industrial design. He worked with both G-Plan and Cunard before a long career as a partner of DRU (Design Research Unit), whose global projects influenced a generation of transport design. The chair is now made by one of the last remaining specialist chair makers in the UK exclusively for Binocular – so all very hush hush. The chairs available to buy on the day aim to carry the integrity and soul of the original. They are expertly made and built to be handed down. See this particular chair at the show along with other distinctive designs. Lest we forget we also have 60 fabulous midcentury dealers to make it a day out to remember for all your favourite vintage-loving friends. Make time to chat to first timers to the show Charlie Four Legs. Designer Brad and journalist Sarah specialise in Charles and Ray Eames original side chair and armchair fibreglass designs from the 1950’s, 60’s and 70’s and most are in pretty much mint condition. The duo started buying Eames chairs together over ten years ago, fell in love with them and the love affair has continued ever since. Also new to Dulwich are Everything but the Dog. Specialising in British and Scandinavian midcentury furniture with pieces by the best designers and manufacturers such as Ercol, Hans Wegner and Borge Morgensen, this brilliantly named brand sources pieces in need of some TLC. See them lovingly reupholstered, re-webbed and treated to ensure the highest standards. Making a welcome return to Midcentury Modern® is vintage industrial lighting specialist Skinflint. The team scours locations across the world to source and restore midcentury historic lights. Every light is original and has its own unique story to tell. The lights Skinflint discovers range from Hungarian railway ceiling lights and German cargo ship wall lights, to Eastern Bloc machinists table lights and Czech pendants – all expertly restored to modern standards for faultless functionality. Get tickets HERE for November 19th and if you can’t make this Midcentury Modern® head for our next on 18th March 2018 at Dulwich College or our pop-up of midcentury goodies at Hepworth Wakefield on 3rd and 4th February 2018.